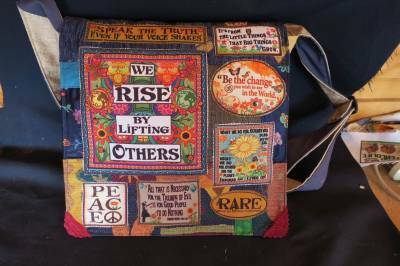 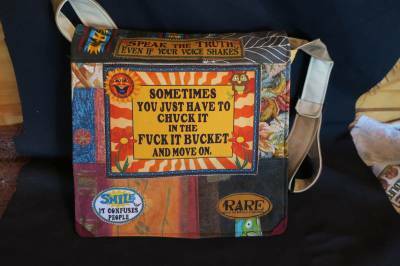 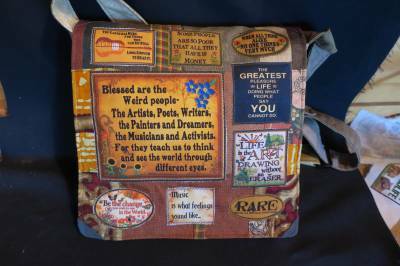 A good bag for some great quotes and ideas to be lived and added to in practice/action. 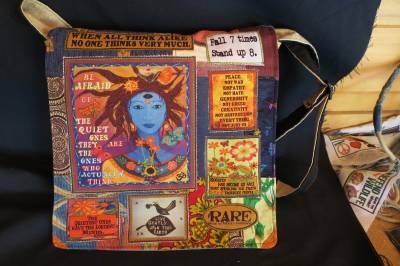 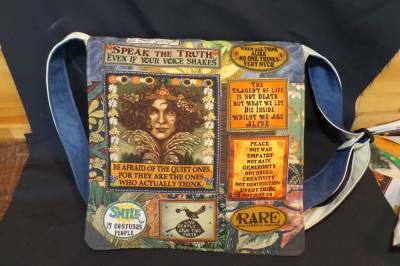 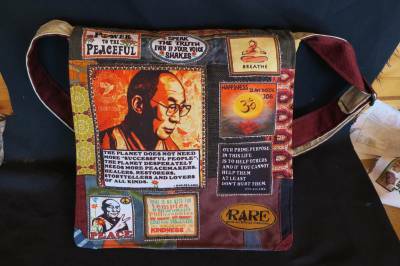 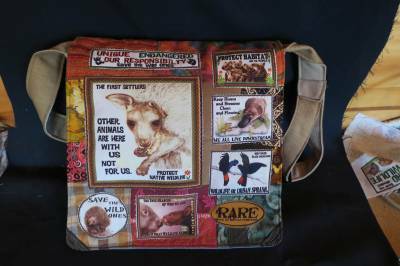 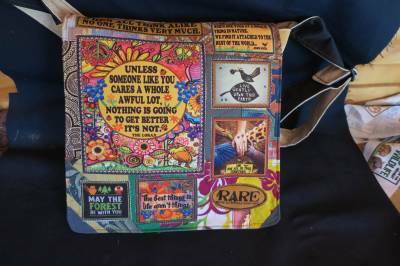 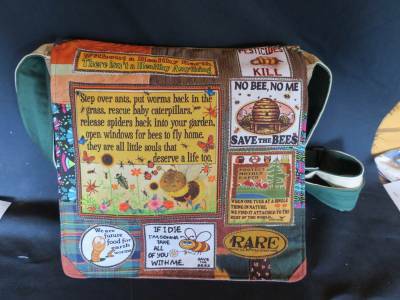 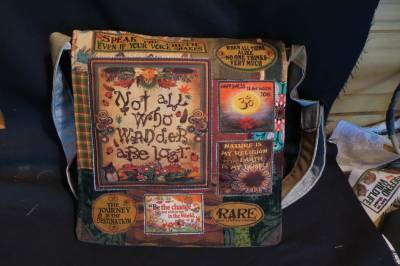 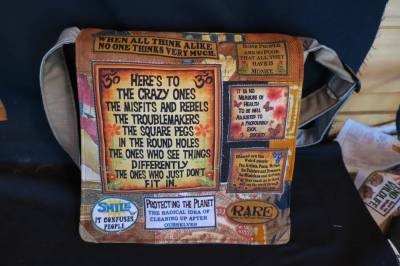 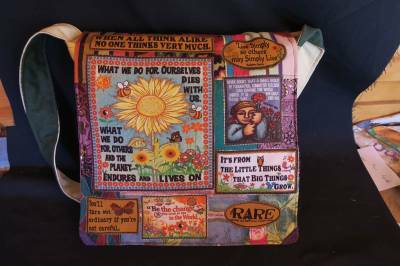 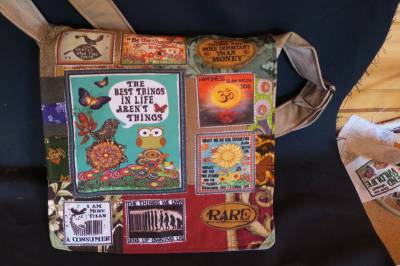 One of my favourite patches on there, 'when all think alike no one thinks very much'.. For Australian customers GST will be added on checkout making the bag $105. 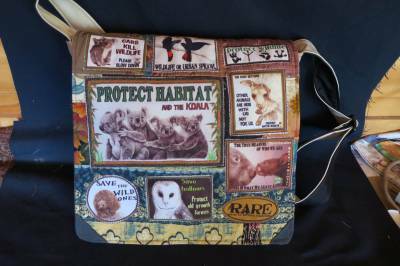 Postage in Australia is $16. 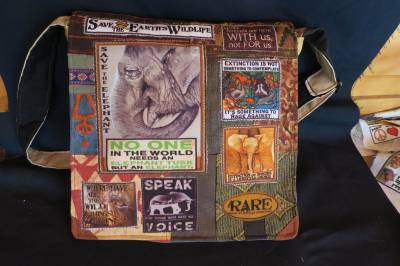 International postage is available on checkout. 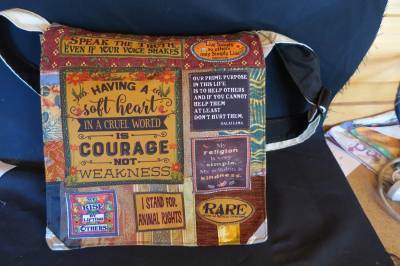 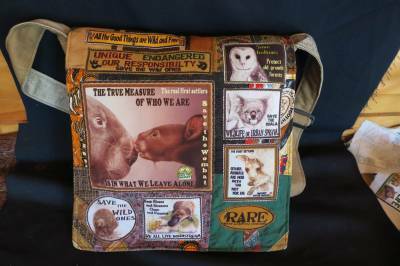 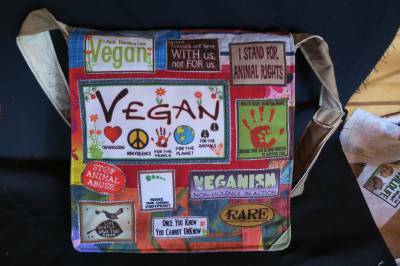 This is our new Vegan Compassion bag that we made today..A great way to raise awareness and start conversation on this lifestyle choice and the cause and effects of our food choices… Veganism reduces significantly the impact on fellow animals by not supporting the meat and dairy industries.. 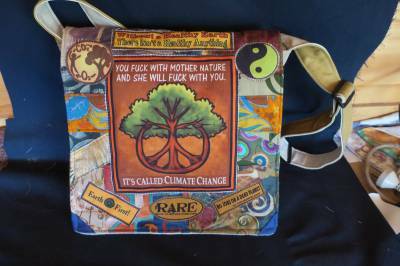 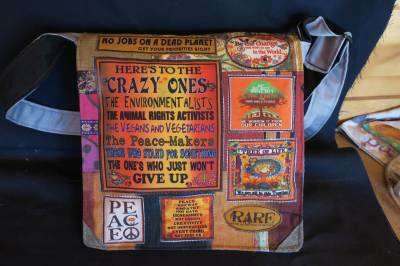 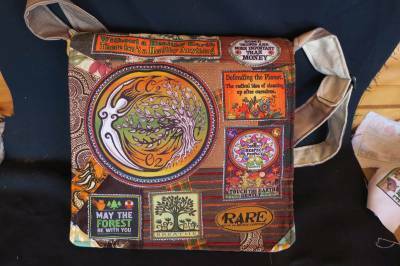 These industries are also intensive carbon factories hence being Vegan reduces your carbon footprint as well..its a win-win for all involved and a powerful statement an individual can make to and for the world.. hope you like it…For Australian customers this bag will be $105(inclGST) when you get to the checkout. 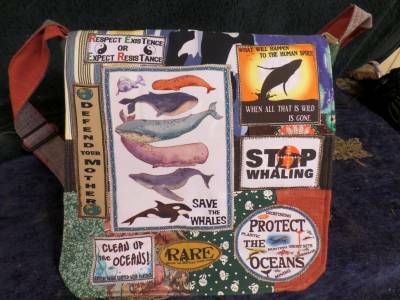 This is a great main patch I think, with some lovely whales depicted. 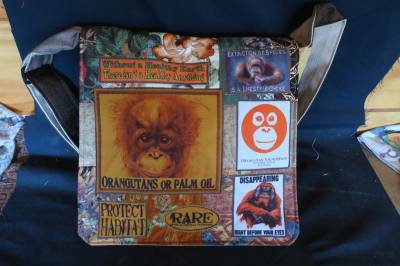 I can't imagine the size of some of these species, absolutely magnificent example of the beauty of the natural world. 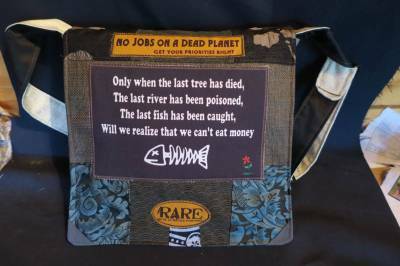 Their death at human hands, whether by hunting, by plastic ingestion or entanglement, climate change impacting their food supplies, is and will also be a devastating reality. 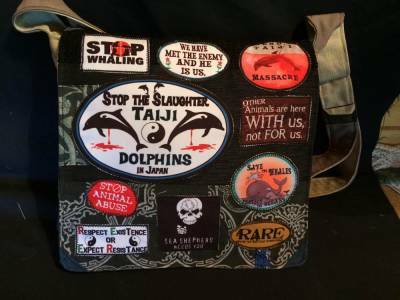 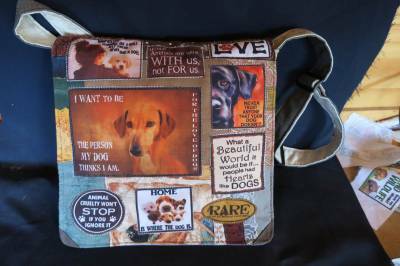 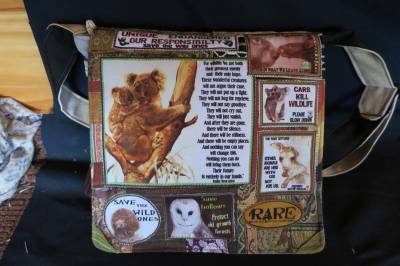 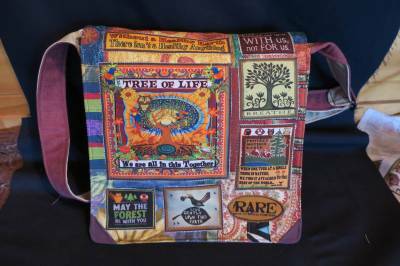 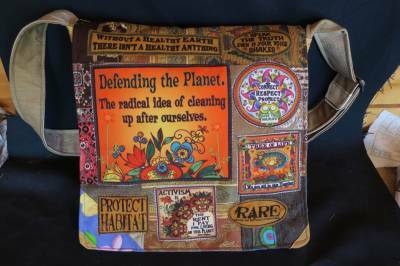 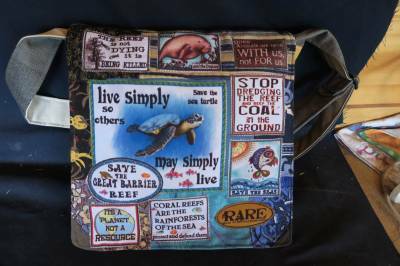 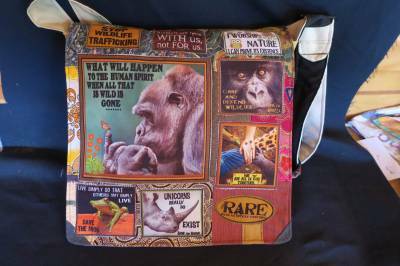 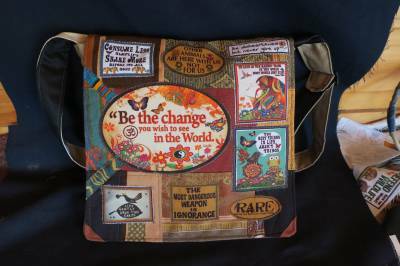 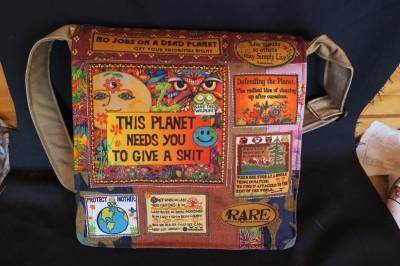 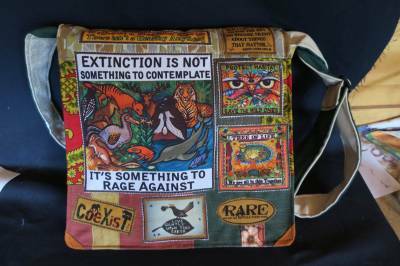 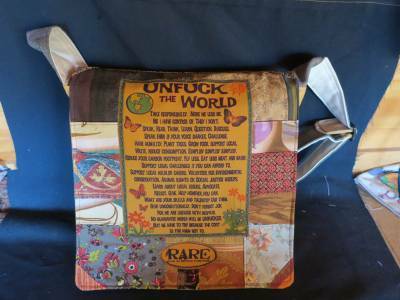 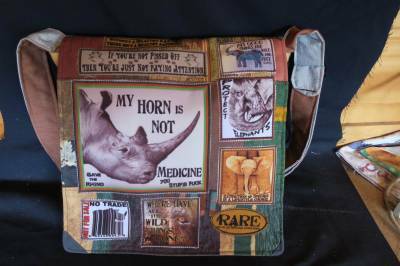 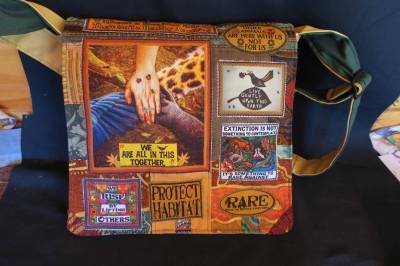 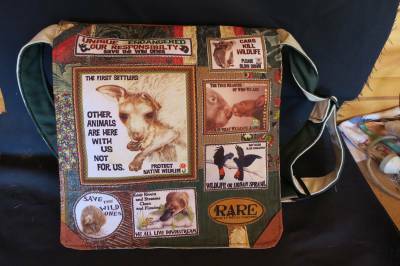 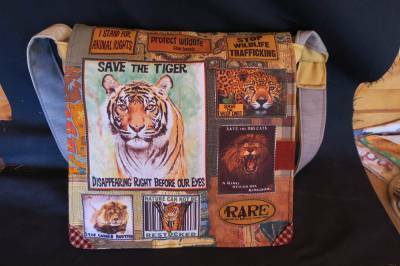 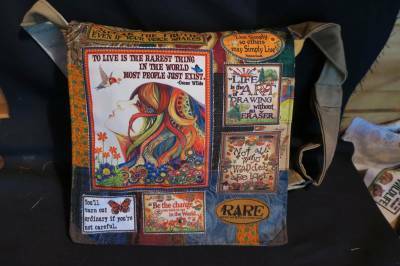 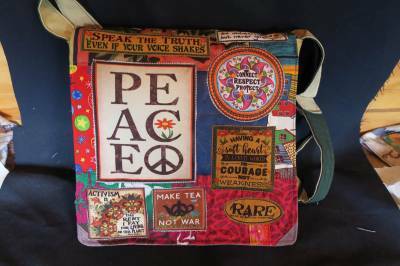 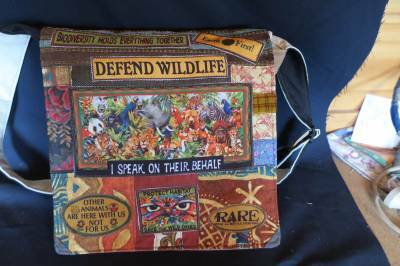 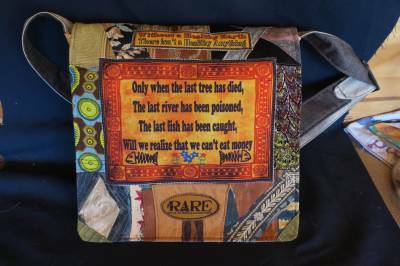 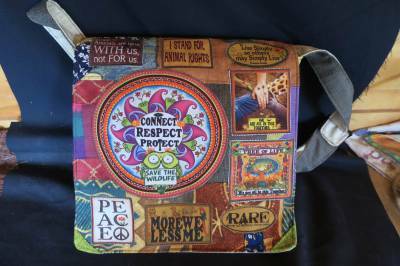 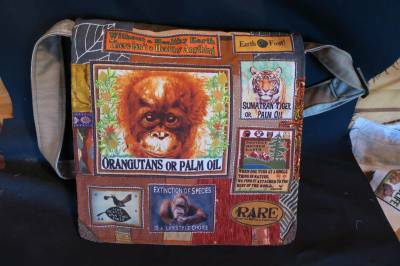 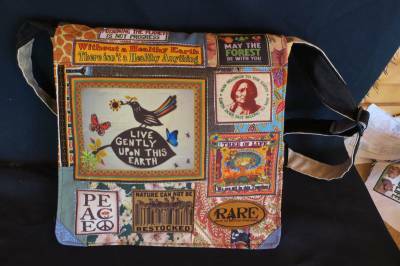 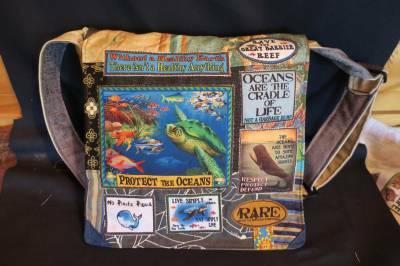 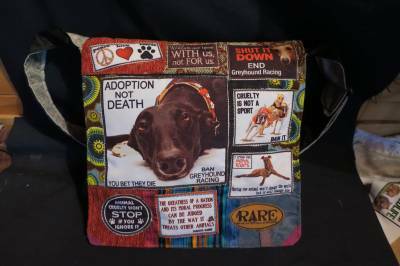 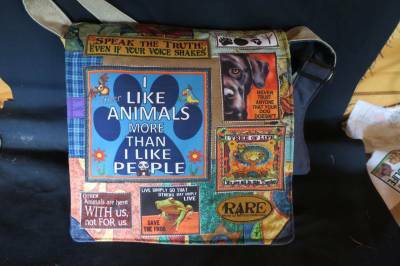 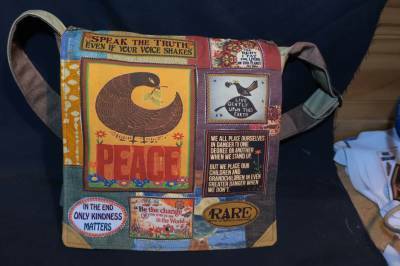 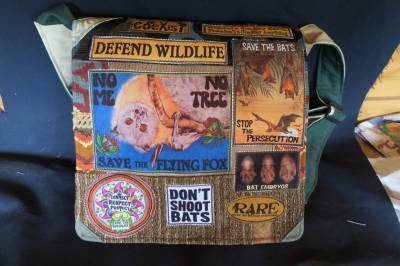 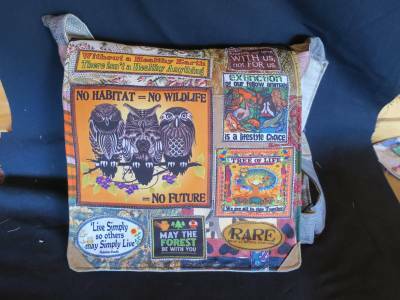 This bag is also for the oceans... the home to some of the most intriguing life on the planet.. 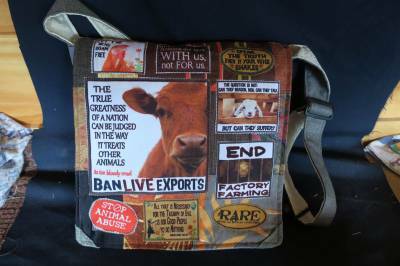 If you are in Australia GST will be added on checkout.